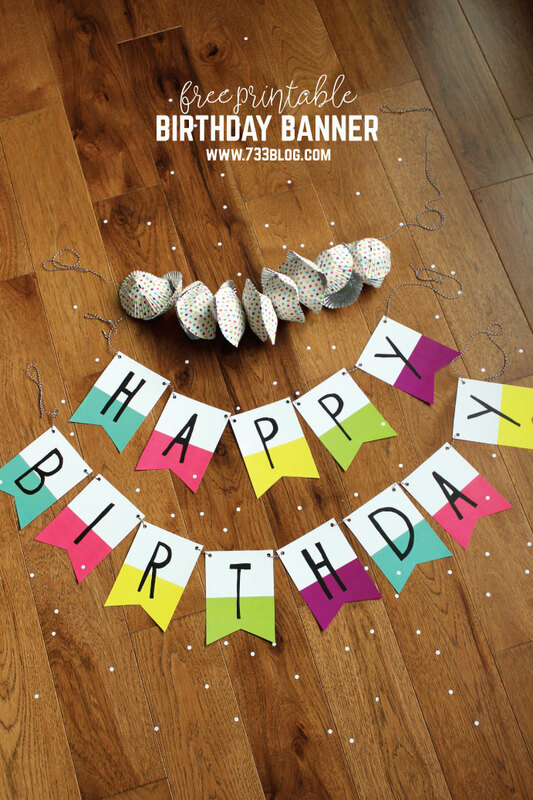 One of the easiest ways to decorate for a birthday is to use a birthday banner. There are so many ways to DIY one, so really your imagination is the limit. Though of course sometimes we are running low on time or energy and need something that is easy to make but still fun. 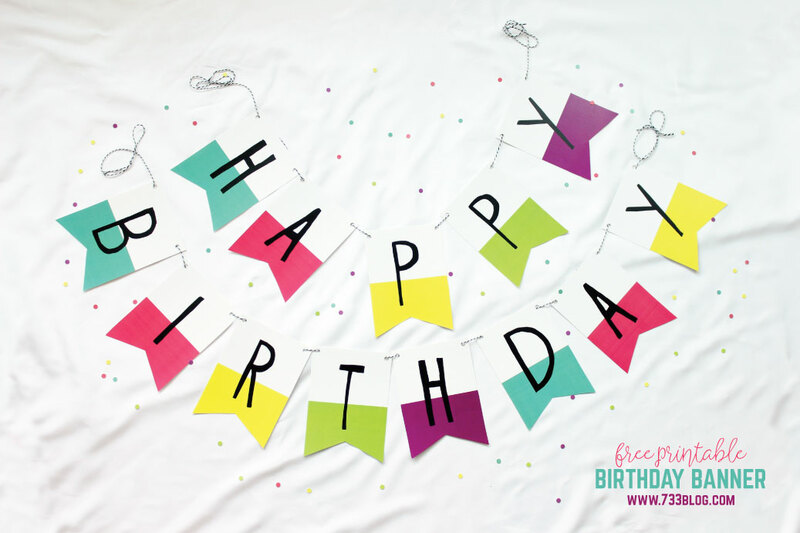 Today’s free printable is a bright Rainbow Birthday Banner that is perfect for any birthday – child or adult! Easy and quick to make, you can have it hanging within just a few minutes. Plus, it’s free! 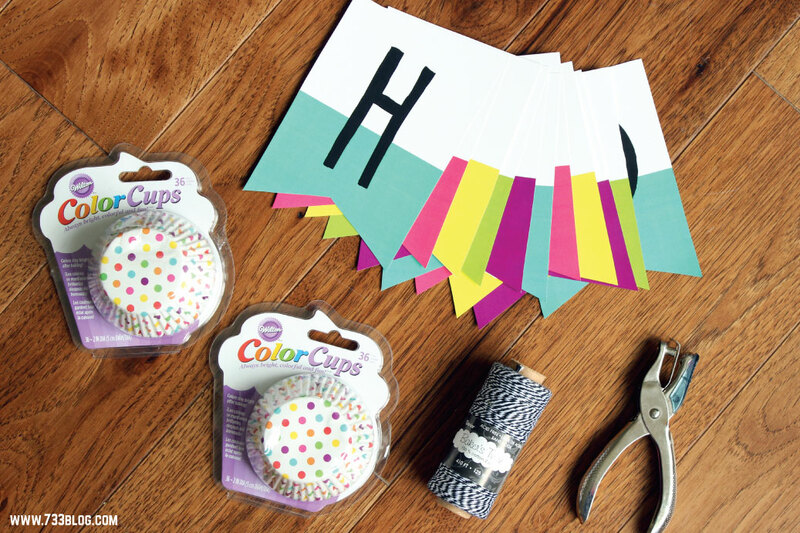 In addition to the free printable banner, I’ve put together a full Rainbow Birthday Printable Pack that you won’t want to miss! I love putting together low cost birthday parties, and one of the key ways of doing that is finding/DIY-ing inexpensive birthday decor that packs a punch! I based my color choices for the banner off from these adorable polka dot cupcake liners that I found via Consumer crafts. I ended up threading those onto some twine as well for a fun, unexpected added element to the banner. 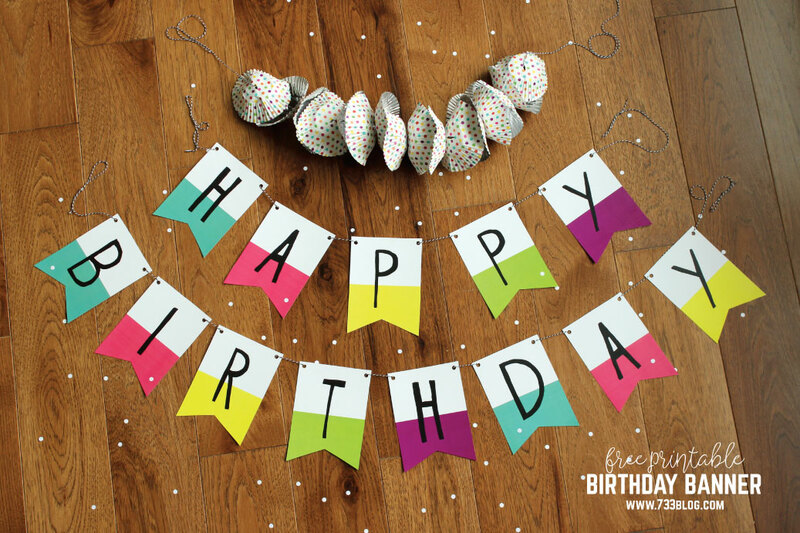 If you’re hosting a party and want a festive piece of decor to help celebrate the birthday person, then read on to see how easy it is to put this printable banner together! And don’t forget to scroll through to see the awesome birthday bundle as well! Download the Birthday Banner file and open in Adobe Reader. Print on to white cardstock. Cut out the banner pieces. Punch Holes in each top corner. Thread twine through the holes. I told you that it was easy! As I mentioned, in addition to this flashy birthday banner I have a matching Birthday Pack available for sale. 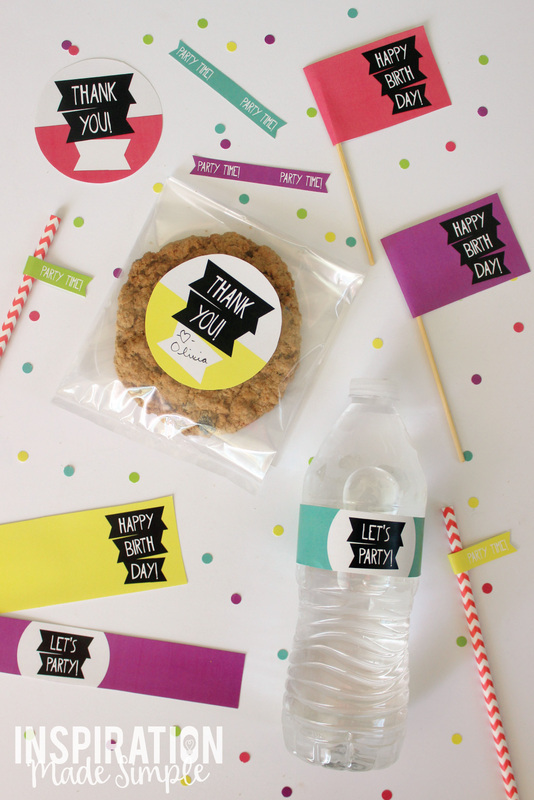 The bundle includes water bottle labels, cupcake toppers/food flags, straw flags and thank you tags. Get the three page printable for just $4.00! It will be delivered to your inbox as a pdf file. Cut out each item and attach with hot glue or tape to water bottles, straws, skewers and favors for a bright and flashy birthday!